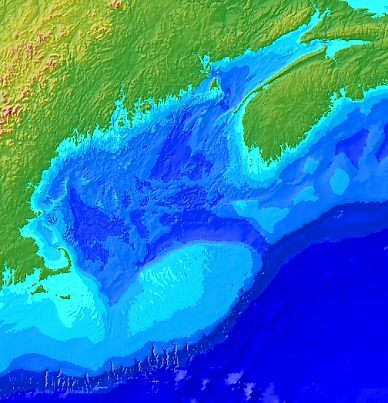 On these pages we document the procedures we used to construct 15 arc second (~1/2 km grid cell size) and 30 arc second (~1 km grid cell size) resolution bathymetric grids for the Gulf of Maine (Longitude = 71.5 - 63 W, Latitude = 39.5 - 46 N). 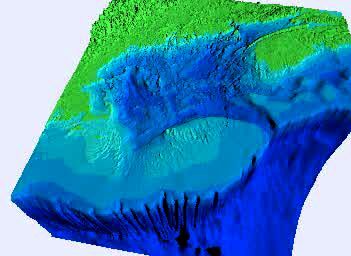 The goal was to construct the best gridded products possible using available digital bathymety datasets. In addition to the grids themselves, valuable ancillary products such as corrected sounding data, digital bathymetric contour lines and shaded-relief maps were generated and are available in a variety of formats, including Arc, Matlab, GMT and ASCII. 1. Images: for graphics packages and map overlays. 2. Grids: The 15 and 30 second grids in Arc, GMT, Matlab and ASCII formats.